When it comes to face masks, I always have and think I will continue to prefer masks you can apply rather than sheet masks. I just feel you can see better results for something you can apply than on something that is designed to suit every shape and size. 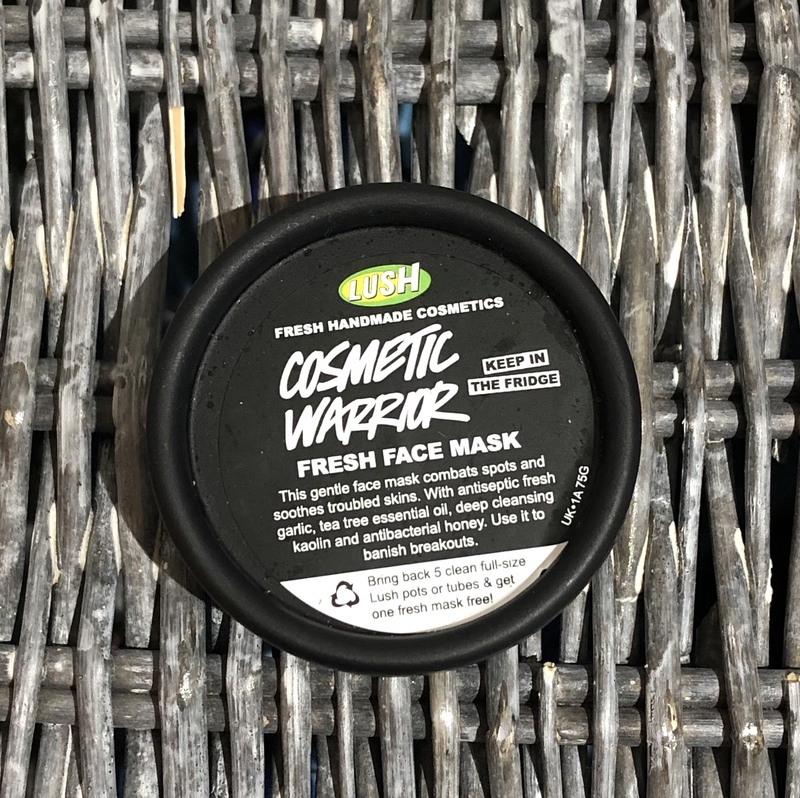 I was really excited when I ordered the Cosmetic Warrior Mask from Lush. Lush has a good range to match skin types and what suits your needs. My skin is fairly normal, slightly dry due to a cold but typically ok. I have had a little break out on my nose especially which I wanted help with, to clear it up. Firstly I would have to say that the smell is quick powerful. The garlic is strong and there seems to be chunky bits of something in my pot of Cosmetic Warrior anyway. It’s meant to be kept cool and in the fridge. The smell does put you off quite a bit, so if you are a garlic lover this mask is for you. Its grey in colour too, so the colour isn’t overly inviting either. The pot full is a good size to share with friends or last I would say 3 masks maybe more. Though I was a little off put but the strong smell I was stilling wanting to try this out, not only for me but for you. I think it also doesn’t help that I am not good with textures. I applied this as I would a normal face mask. Though it was cold to put on, you didn’t need a lot to cover your whole face. It’s quite thick and moose like. Easy to put on and spread. Like most masks its left on for 10 minutes. You get use to the smell but I would say avoid the chunky bits of garlic when applying. I went away like I do every mask and watched some youtube. Sat and chilled whilst the mask sunk in. After 15 minutes the mask had set and it was time to take off. I wet a flannel as I would normally to take the mask off. It was a tough one to remove and a good few times to remove my whole face worth. Though the mask stunk and it was slightly a funny texture I would actually buy this again or explore more around Lush’s face mask range. My skin afterwards felt amazing and still does now. The break out of spots on my nose seemed to clear up straightaway and my skin felt smooth and soft. I think the only thing is the colour, smell and chunks of garlic that would put me off. If I brought this from the shop this maybe different as I could smell and look at all the masks together, rather than reading the description on the internet. The pot full is £8.50 which I think is really good for the fact you can get 3 to 4 masks out of 1 pot. Working out at about £2.80 a mask. 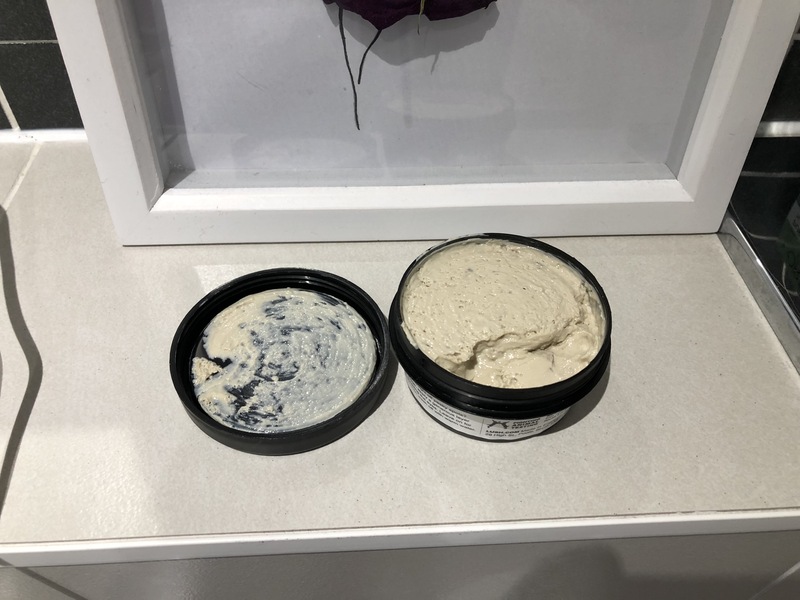 As long as you keep this in the fridge it has a good shelf life of roughly a month, so would be good if you want to use weekly or a pamper party. Overall I would give this mask a 6/10 really like the end results but the smell and texture really puts me off. I would say the price is reasonable for the amount you get and the usage it covers. I think this would be a cute gift as well and maybe add a few pamper items. 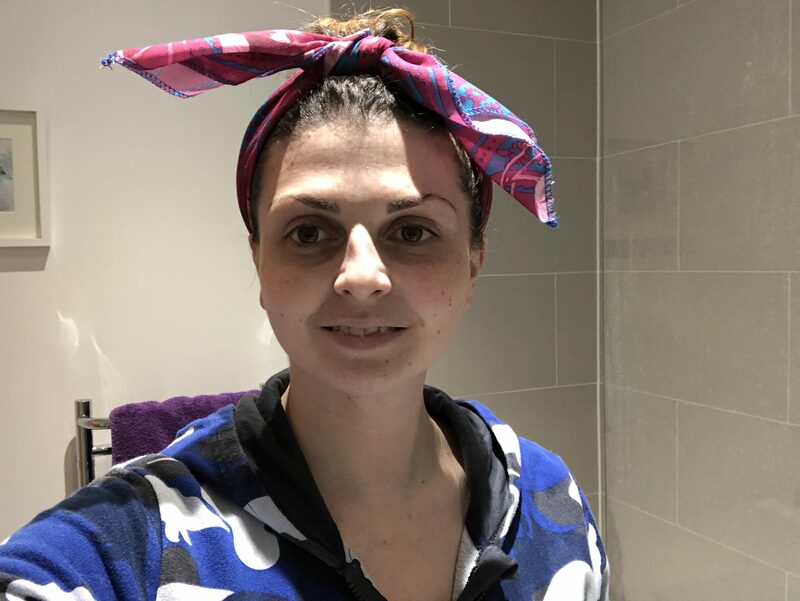 Using a lush wrap to bundle it all up in. 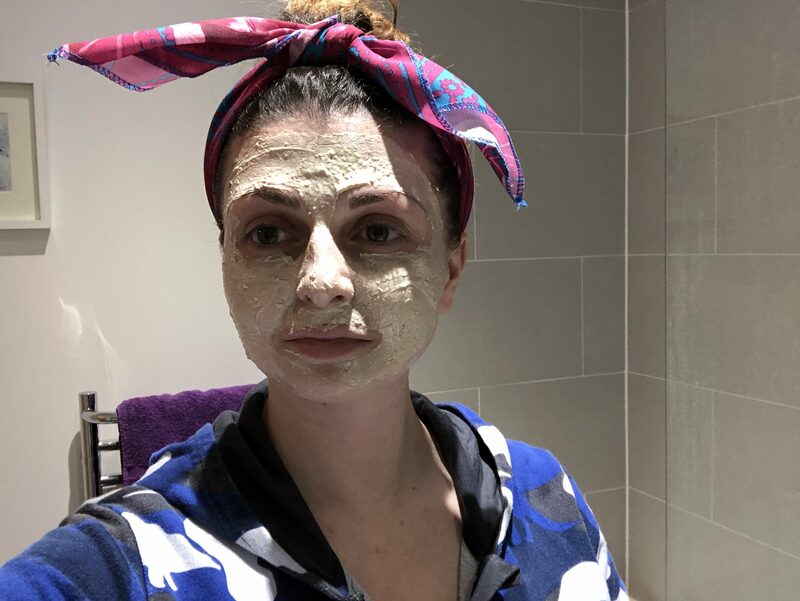 What is your go to face mask at the minute? Would you try this one?